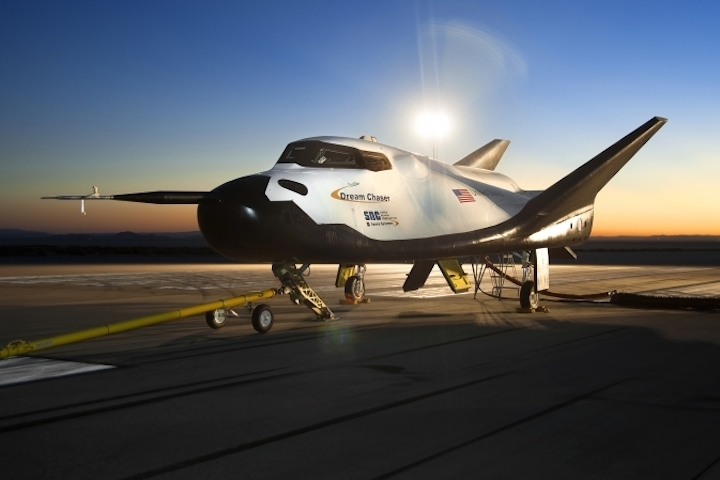 This week, the United Nations Office for Outer Space Affairs (UNOOSA) and Sierra Nevada Corporation (SNC) announced a call for interest from participating UN Member States to fly 20-30 powered experiments on a future low-Earth orbit (LEO) mission on SNC’s Dream Chaser spacecraft. “The benefits of a joint mission between government and private organizations on a level of this scale are incalculable,” said Mark Sirangelo, corporate vice president of SNC’s Space Systems business area. SNC holds a multi-billion dollar Commercial Resupply Services (CRS-2) program contract with NASA to resupply the International Space Station from 2019-2024 with a cargo-only version of Dream Chaser, and although the spacecraft has yet to fly in space, a lot of progress is being made towards its inaugural launch atop a ULA Atlas-V rocket from Cape Canaveral AFS, Fla. in 2019. An engineering test article of the Dream Chaser is now in “Phase Two” flight testing at NASA Armstrong Flight Research Center, located at Edwards Air Force Base, CA, and recently conducted a successful “Captive Carry” test while attached to a Chinook helicopter, which carried it to the same altitude and flight conditions it will experience when released on an upcoming Free Flight test later this year (after a second Captive Carry test is conducted first). SNC put their test article through its first free flight approach and landing test three years ago, but the vehicle made a hard landing when only two of its three gear deployed, causing it to skid off the runway and sustaining minor damage. Significant structural and systems improvements have been made to the test article since, and SNC is confident Dream Chaser will fly its first mission for NASA within the next two years. The Call for Interest from UNOOSA particularly encourages developing and emerging countries to submit entries to be considered for the future 2-3 week mission, but offers few other details other than it will orbit at an altitude of about 500km and an inclination between 0 and 40 degrees. The rocket, launch site, date and landing location is yet to be determined (Dream Chaser will be capable of launching on several types of rockets). The deadline for submission is Nov. 1, 2017. VIENNA, 26 September (UN Information Service) - The United Nations Office for Outer Space Affairs (UNOOSA) and the Sierra Nevada Corporation (SNC) have issued a Call for Interest (CFI) for a proposed orbital space mission using SNC's Dream Chaser® space vehicle. The proposed mission will allow United Nations Member States to provide payloads or experiments to be flown in low-Earth orbit. Payloads must contribute to the attainment of one or more of the Sustainable Development Goals (SDG). This will be the first ever space mission dedicated to the SDGs. 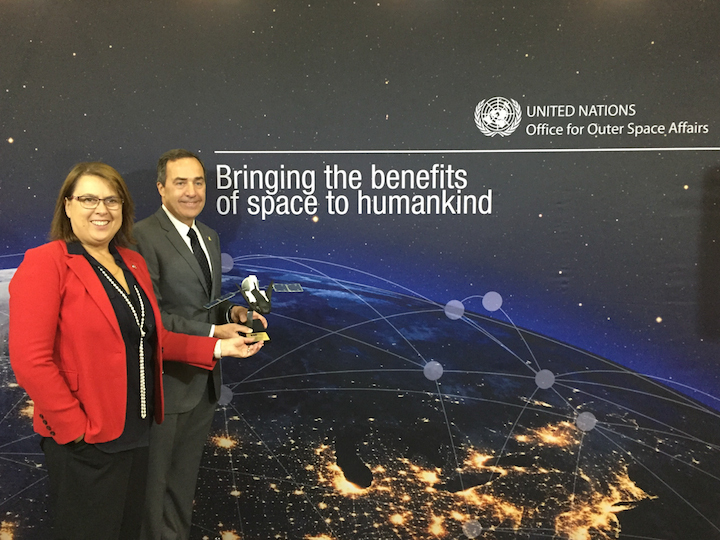 "We expect our efforts in building industry capacity to have long-term impacts, especially in space-related science, technology, engineering and mathematics (STEM) education programmes, and that these results will flow to the wider economy as a whole," said Simonetta Di Pippo, Director of UNOOSA. "We are here to support developing and emerging countries and institutions so that this mission can really enable inclusive access to space for all and contribute to the attainment of the Sustainable Development Goals." "The benefits of a joint mission between government and private organizations on a level of this scale is incalculable," said Mark Sirangelo, corporate vice president of SNC's Space Systems business area. "Sometimes the end-goal is about the science and technology of the experiments, and sometimes it's about the advancements of the organizations that host the payloads. In this case, it's both, and we're thrilled to provide the vehicle that will make this happen." This opportunity is open to all United Nations Member States, and developing and emerging countries are particularly encouraged to apply. The purpose of the CFI is to ascertain the level of interest from Member States in this initiative, and to determine the level of support each interested party might require. The CFI can be found on UNOOSA's website. Responses are due on 1 November 2017.